2012 grapes benefited from one of the great growing years with exceptional weather offering warm and steady temperatures leading to great flavours, sugars, acids and pH. 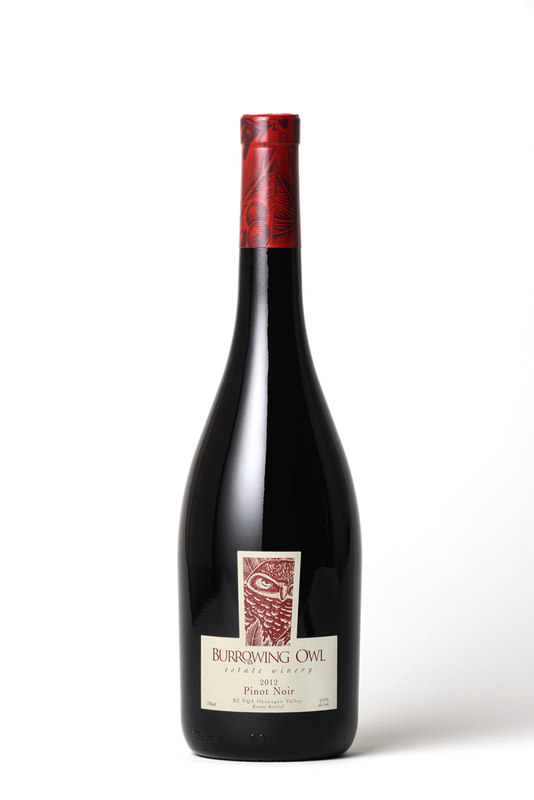 The reds developed excellent ripeness and are expected to age well. 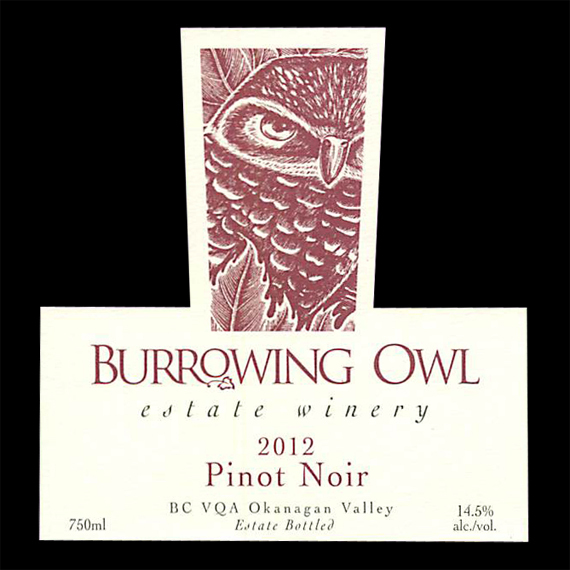 The fully ripe and healthy Pinot Noir grapes were picked from different blocks at Burrowing Owl Oliver vineyard and at different times from September 25th to October 4th 2012. They were hand-sorted, destemmed and slightly crushed before being dropped into temperature controlled stainless steel tanks. Then a slow and long fermentation (21 days) started spontaneously allowing a gentle extraction of the components for colour and flavour. The resulting young wine was pressed and transferred into a mixture of new (37%) and used barrels from French (8o%), Russian (15%) and Hungarian (5%) oaks. At completion of malolactic conversion, it was racked and then aged for 9 months.The wine was bottled unfiltered in July 2013.